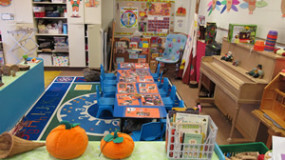 Triangle Cooperative Preschool - Ann Arbor Preschool for 3 & 4 year olds. 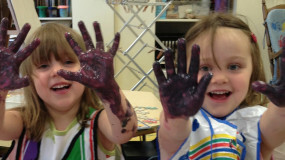 Since 1951, Triangle Cooperative Preschool in Ann Arbor has been offering a quality preschool program to area families. At Triangle, both parents and children have the opportunity to experience the joys and challenges of the preschool years. Our certified teachers are knowledgeable in child development and have many years of experience working with young children and families. 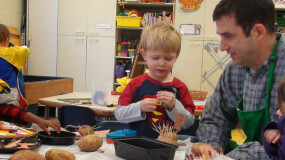 Parents assist periodically in the classroom and assume some of the administrative responsibilities connected with running the nursery school. 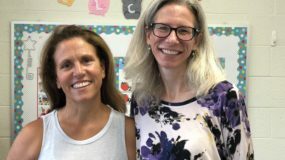 Triangle Cooperative Preschool is a member of the Huron Valley Council of Cooperative Nurseries (HVCCN) and the Parent Cooperative Preschools International (PCPI). Questions? Contact our membership chair to get your answers and to arrange a tour. Ready to apply? We accept applications online or by mail. Parents and children are invited to tour our school, meet our teacher and other Triangle families.